We’re a specialist health insurance broker. 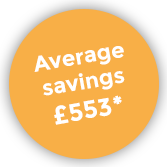 We can review your policy and give you free advice on how to save money. Every year, our premiums were going up. Better Health Insurance Advice helped us to get the same cover for less. Who pays for our service? Our advice is free of charge. We’re paid a commission by the insurers we work with when you buy a policy from them. We only work with insurers who offer 5-star Defaqto-rated policies. We all like to get advice from a friend, so why not recommend us to a friend for a better deal on their health insurance too. If your friend switches policies through us we'll send you £100 in M&S Vouchers as a little thank you (T&C's apply). We rely on fantastic customer service and word of mouth referrals to grow - so thanks for helping us to help more people. Better Health Insurance Advice Ltd registered address: Marshall Point, 4 Richmond Gardens, Bournemouth, BH1 1JD registered in England and Wales No. 08380903. Better Health Insurance Advice Ltd is an appointed representative of Vitality Corporate Services Ltd which is authorised and regulated by the Financial Conduct Authority.